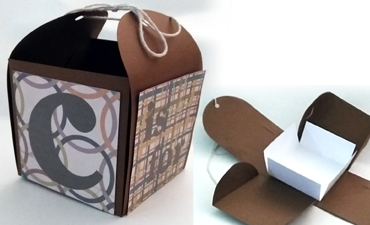 A three-sided gift bag with custom tag you can make yourself instead of overpaying at the store! 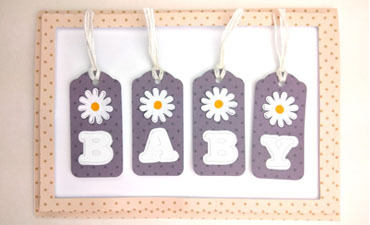 A simple and pretty baby card perfect to welcome a new little one or as a baby shower invitation. 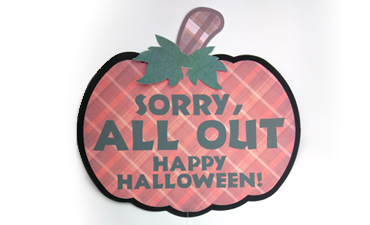 You can turn out the lights, you can close the curtains, but instead of that, you can use this useful festive sign to let Trick-or-Treaters know you’ve run out of candy! 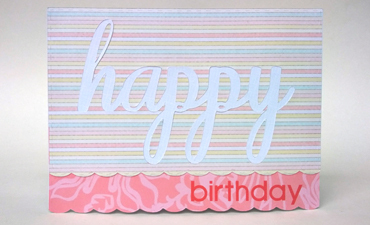 Welcome the arrival of a little bundle of joy with this simple baby greeting card! 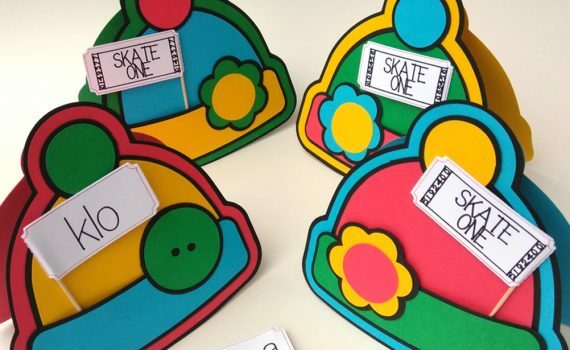 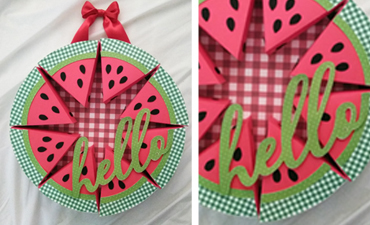 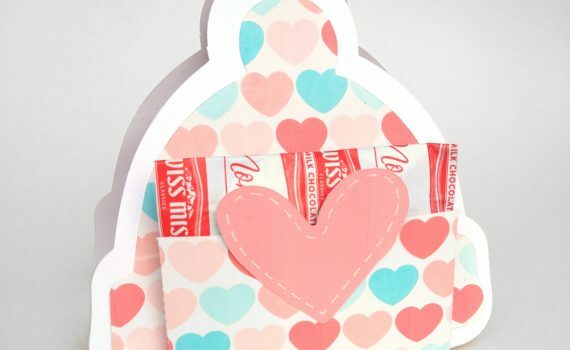 Make it quickly from just one piece of printable cardstock and one solid piece of coordinating cardstock! 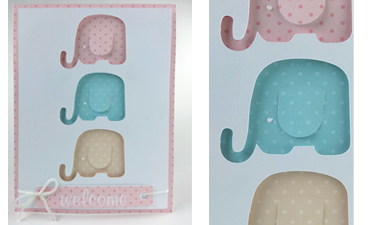 Create this adorable dimensional baby elephant and share with family and friends who’ve recently been blessed with little ones! 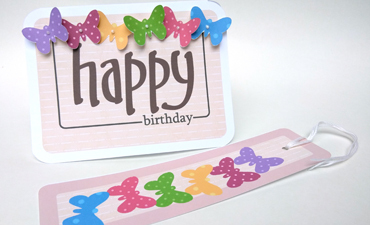 Use our And Love Swiss Dots digital paper pack and you can recreate this card exactly! 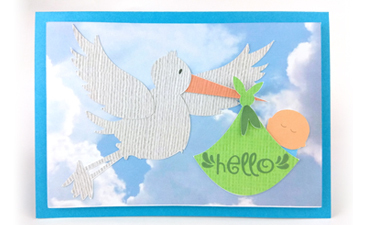 You can make this adorable baby quilted card fairly quickly to congratulate a family on their newest member’s arrival. 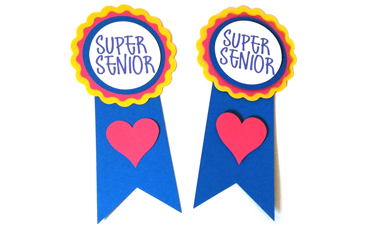 Attach these ribbons to a treat or a note describing your thoughts about the super-ness of a senior student, senior citizen, or friend you'd like to tease! 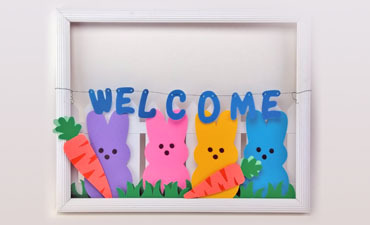 This wonderful sign, all created from cardstock and digital paper (even the "wood"!) 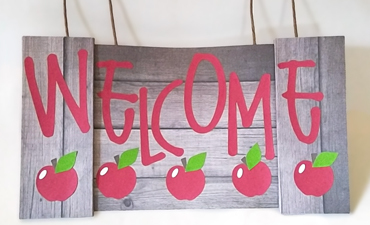 is the perfect addition to your home as Fall approaches or what about for your school class room? 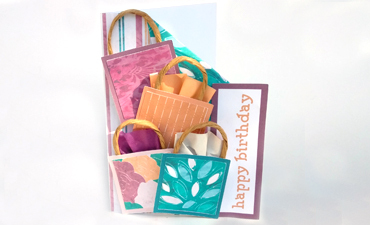 An exploding gift card box using our Sweet as Honey Digital Paper Pack. 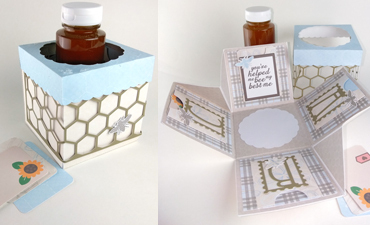 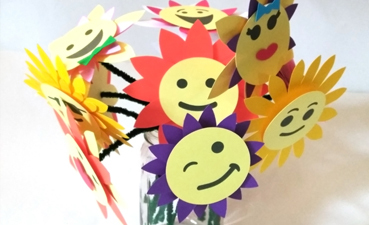 Add special notes or gift cards and fill with honey, a small plant, or even tissues for a one-of-a-kind gift! 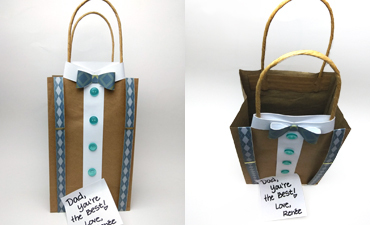 The fun Father's Day gift bag complete with a bowtie, collar, suspenders, and buttons is the perfect way to give your dad his favorite treats. 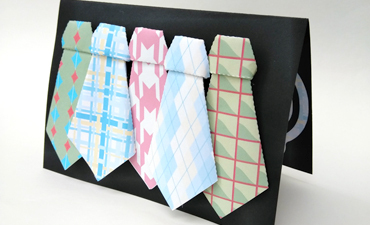 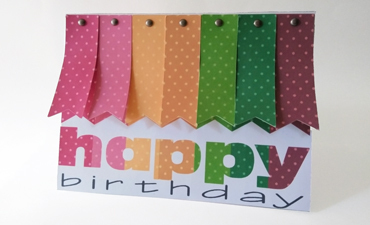 Easily folded origami ties adorn this masculine card made using papers from our digital paper lines! 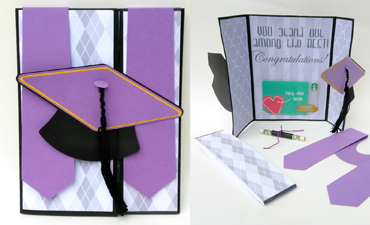 This graduation card can be customized to fit the school colors of your graduate and holds a gift card or a cash "diploma inside! 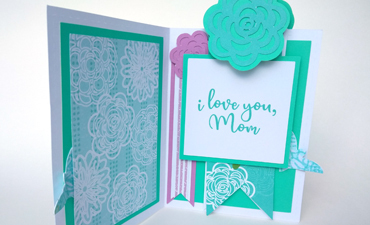 A beautiful flower card for mom with a bonus bookmark and photo frame and made using the Softly Spring Digital Paper Pack. 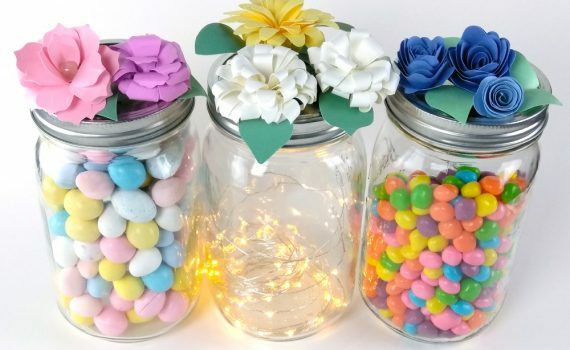 Spruce up a trio of canning jars with these beautiful dimensional flowers and fill them with fairy lights and candies for a table centerpiece, entryway decoration, or gift! 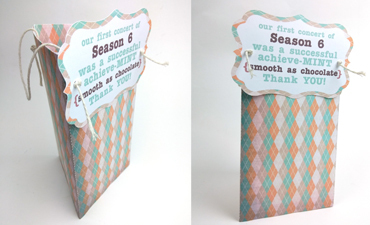 Adorable winter hat cards with a pocket for toothpick markers - these can be used as cards, invitations, place holders, or favors at a party!